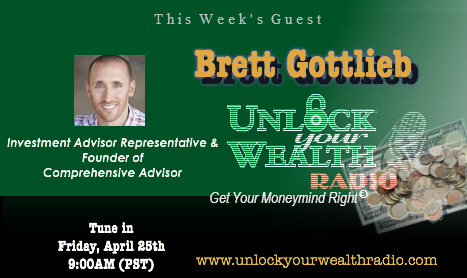 Brett Gottlieb, financial advisor and founder of Comprehensive Advisor joins Heather Wagenhals, Executive Producer and host of UnlockYourWealthRadio.com to Libsyn’s Popular Money Show and Season 19 Running with Scissors this morning at 9:00AM (PST). Through a holistic approach, Brett builds strong relationships with his clients offering financial advice and assistance on several areas of interest. 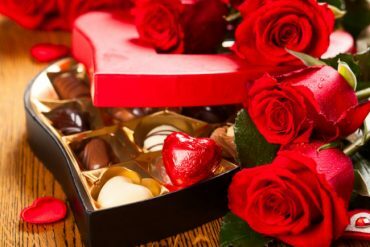 Brett’s areas of expertise include retirement planning, estate planning, investment portfolio construction, individual investment selection and life & health insurance planning. Tune in to find out how you can protect your assets and grow value yourself as an estate planner. Listen to the personal finance radio show every week, which specializes in a unique brand of financial literacy. 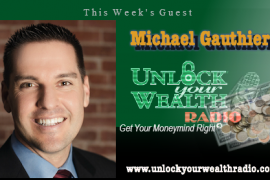 In this week’s interview below you will learn the first step needed to get you set on the right track of your financial path. More importantly Brett Gottlieb will share the importance of stocks, bonds and life insurance and how these decisions should be included in your financial plan, helping reach your financial goals in life. 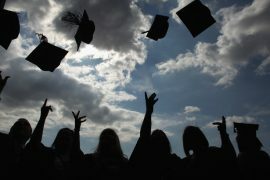 Previous articleDebt or Weight: Which Topic Are You More Ashamed to Confront?